Ellen Stovall Responds to Susan Gubar's "The Cost of Trials"
Susan Gubar’s voice as a woman living with ovarian cancer (The New York Times Well Blog, March 20, 2014) clearly describes the dilemma of how to manage some of the most distressing features facing people who want to participate in a cancer clinical trial—namely access to these trials and the matters associated with payment for the patient care costs. And she doesn’t skip some of the more disturbing details associated with having to endure a battery of tests, both before, during and after the treatments. At a time when our health care system is taking pains to implement quality care for all, we find ourselves having to take the measure of one’s ability to afford that quality of care that we hold in such high regard. For people with cancer, the long-standing and widely accepted indicator of quality care for cancer was tethered to participation in a well designed clinical trial—offering patients the opportunity to get either the currently known best standard of care or what sponsors of a trial feel might turn out to be a better treatment. Ms. Gubar points to the contradictions which are obvious to many of us who have advocated for nearly two decades to close the gaps in access and coverage for people who want to participate in clinical trials–for their own benefit and/or for a societal benefit so that we can learn what therapies actually will work best. Yes, low-income patients are grossly underrepresented in cancer trials and it is no coincidence that they do bear a disproportionate burden in the registers of mortality from cancer. 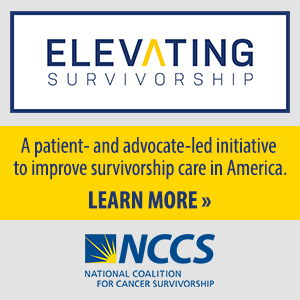 Ellen L. Stovall is a 42-year survivor of three bouts with cancer and has been advocating for more than 30 years to improve cancer care in America. Ms. Stovall is the Senior Health Policy Advisor at the National Coalition for Cancer Survivorship and was a founding member of the Institute of Medicine’s National Cancer Policy Board and its successor, the National Cancer Policy Forum.